Be sure to include some of the many ornamental grasses that provide fall interest. These easy-to-grow, carefree plants add structure and dramatic form to your yard. The blades, as well as the plumes, will add color and contrast. Muhlenbergia capillaries (Pink Muhly Grass, shown) is a fall favorite with spectacular pink cotton candy plumes from September to November. 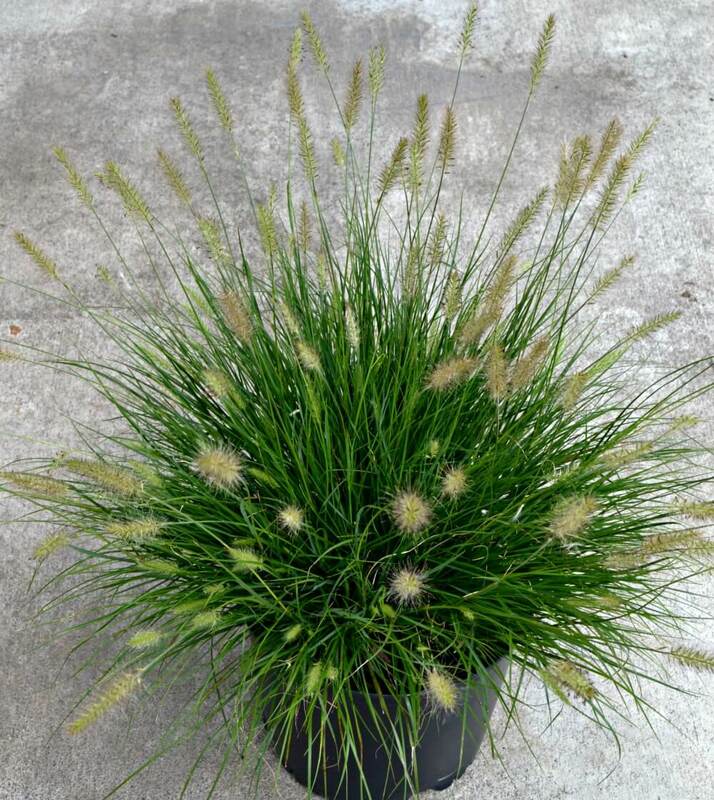 This lovely ornamental grass reaches heights of three to four feet tall (with flower). Rich green foliage on graceful arching stems. This clump-forming plant grows 24 to 36 inches tall, best in partial shade. Exotic flowers (in many colors) that resemble small orchid blooms atop arching stems. 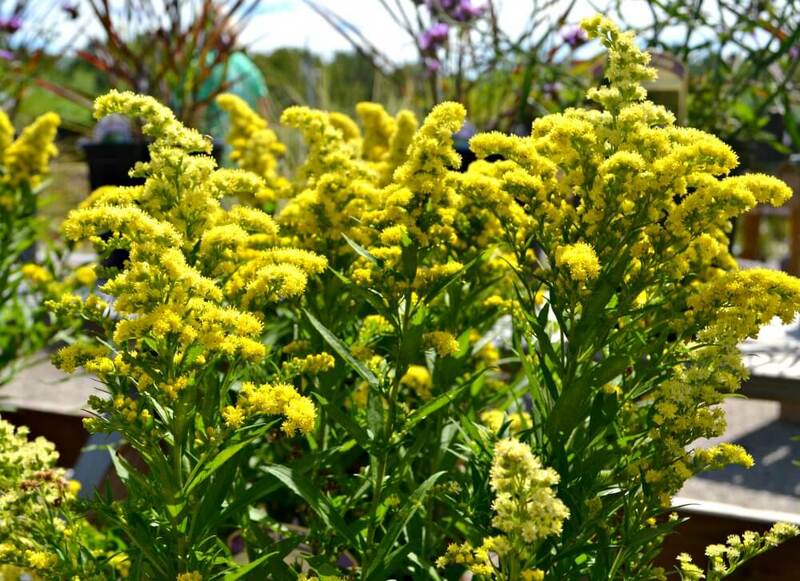 With a name like “Fireworks” you know you will enjoy the brilliant yellow flowers of this upright, arching plant. 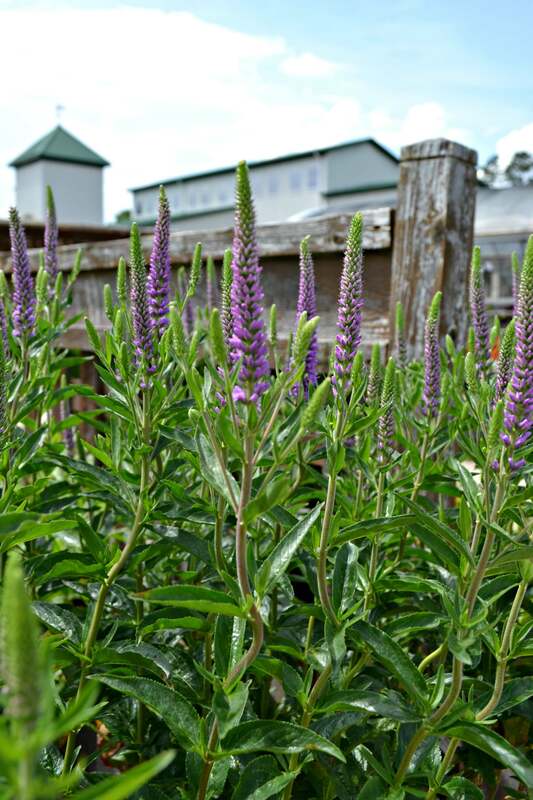 This plant grows 36 to 48 inches tall and adds color and whimsy to any garden. 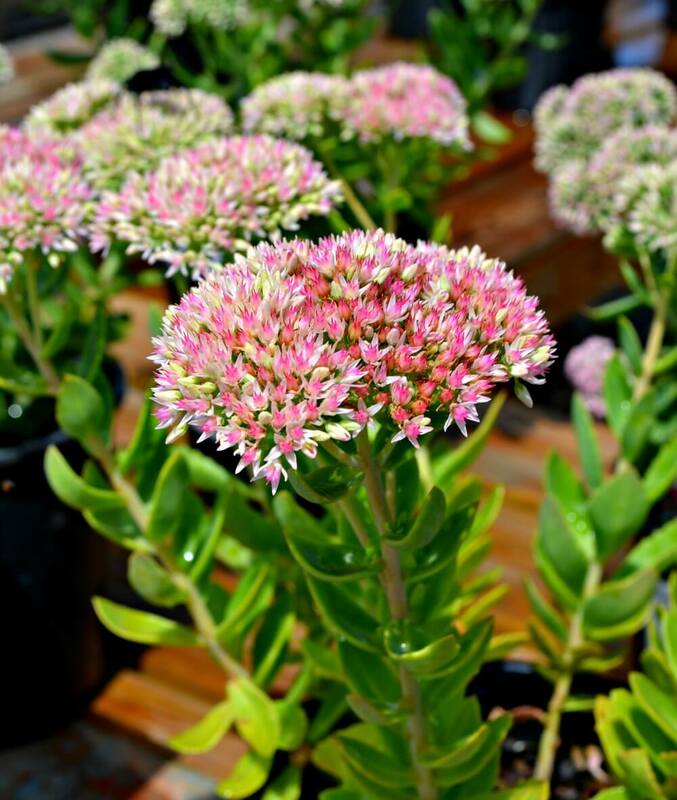 An upright succulent with large clusters of flowers in shades of mauve and pink that change to russet and bronze. Includes ‘Autumn Joy,’ ‘Brilliant,’ ‘Autumn Fire’ and ‘Matrona.’ A must for your fall garden! 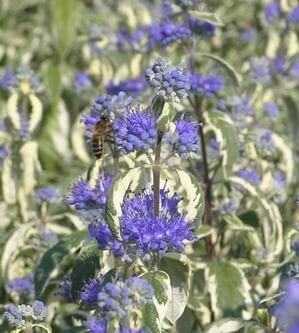 Lovely fragrant, silvery-gray foliage that is finely textured and topped with spikes of Iavender-blue flowers. This airy plant ranges from 20 to 48 inches tall. This plant has vibrant yellow daisy-like flowers. 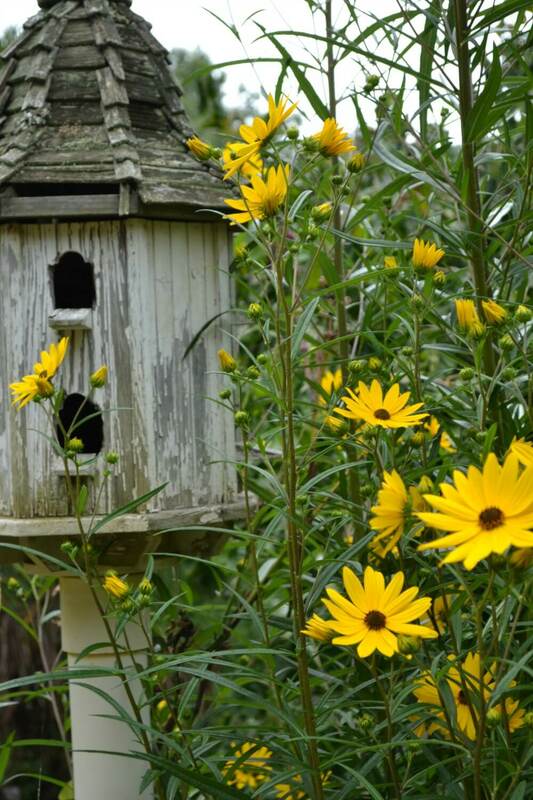 Easy-to-grow and provides a valuable source of food for the birds! ‘Maximiliani’ can grow 6 to 10 feet tall! A native we take for granted because we see it by the side of the road. This plant makes a great back drop for any garden! Clusters of fuzzy pink or white flowers appear on this plant. Grows 4’ to 6’ tall. 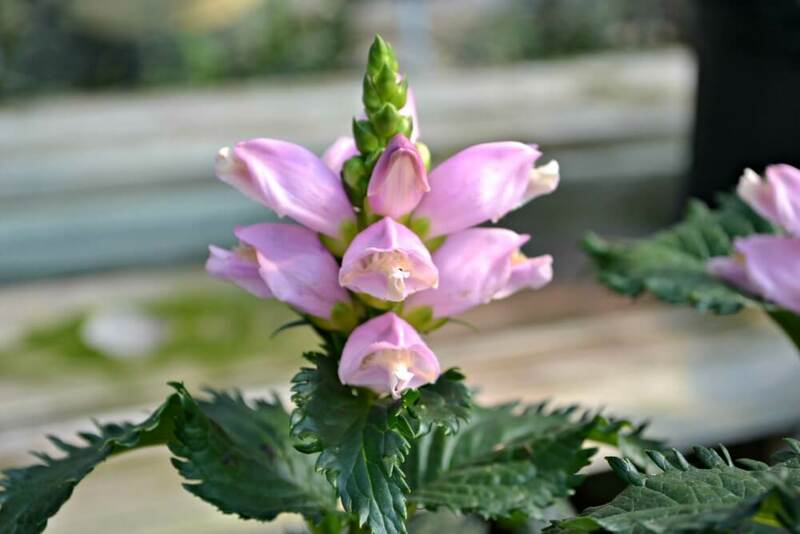 A carefree fall blooming perennial whose only real dislike is excessive dry heat. Reaching 24 to 36 inches tall, it grows in a dense clump with red, pink or white flowers shaped like turtle heads! A favorite of butterflies! Reaching 36 to 48 inches tall, this woody perennial has silvery-gray foliage to contrast its blooms that range from sky blue to deep dark purple. 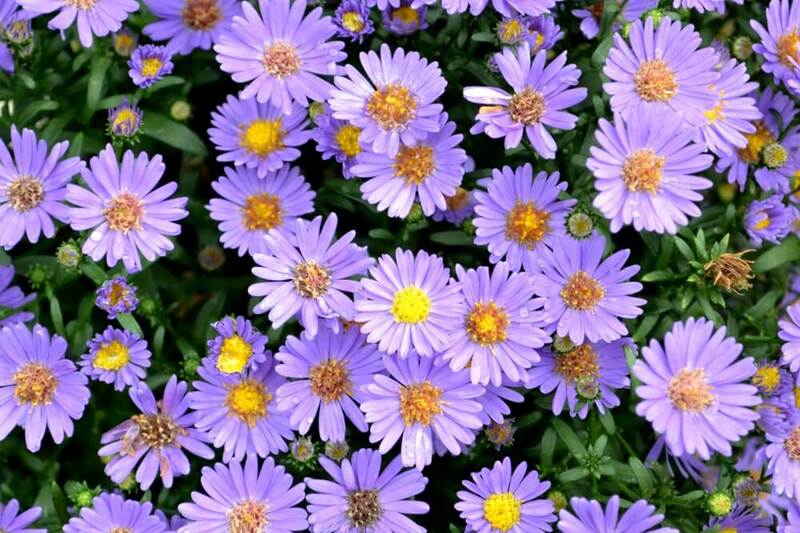 These are just a few of our favorite fall blooming perennials plants. Remember to add contrasting colors and textures by adding evergreen perennials or shrubs. For fall bloomers to be hardy in your garden, it is best to plant and establish them earlier in the season. To ensure a glorious display, you may need to stake your plants or do some periodic pruning.